This Listing is for a complete and NEW transfer case for the early style mfd axle that Elwood marketed in the mid 70's. This one was based on a truck axle from the FWD Corporation. These axles are generally identified by the square appearance of the axle housing and that it bolts together in the middle of the tractor just under the pivot pin. Also features a center drive pinion and driveshaft! 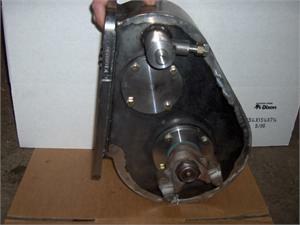 The other unique and easily identifiable part of this axle is the lack of planetary's out in the hub. Most of these were found on 1066 and 1466's but the axle will fit many IH tractors and the transfer case was built with 2 distinct ratios!! 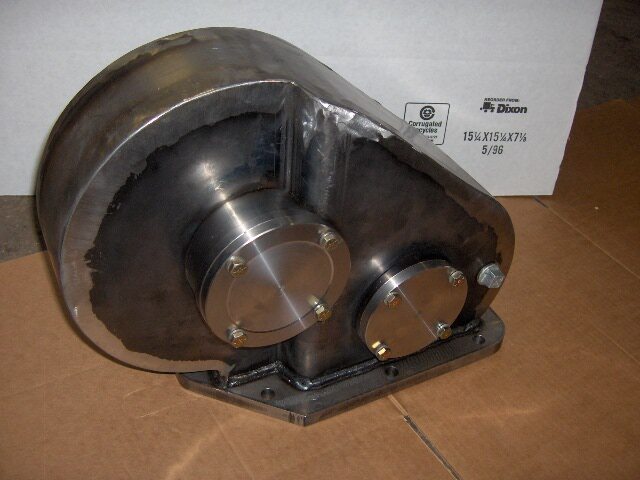 We had every part for this transfer case built and it is done with quality steel and craftsman!! The FWD TRUCK axle is actually quite heavy, well built and has self engaging differential lock!!! 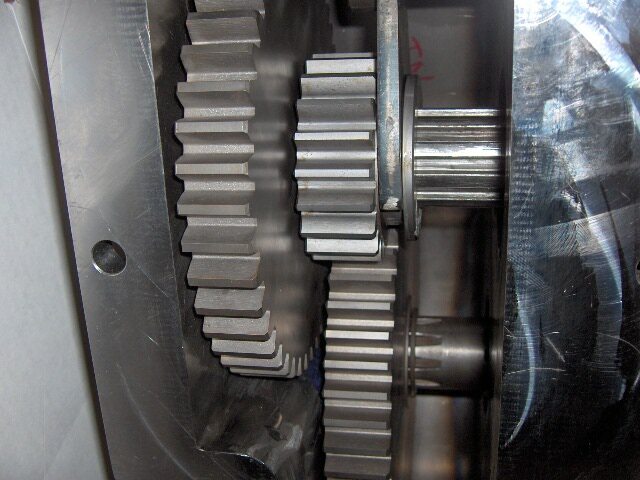 It is often found with damaged gears in the transfer case or with split cast iron transfer cases. 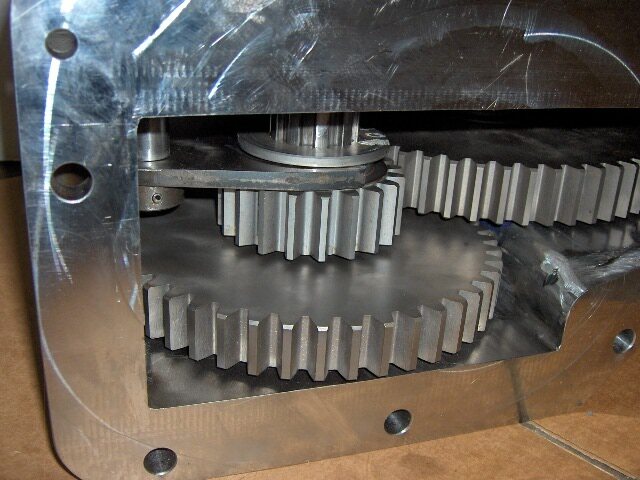 The case we are building is from steel and not the cast as was the original! Extremely strong and built to much tighter tolerances than what was available when built new in the 70's!!! The parts for the transfer case have been unavailable from Elwood and Trac 4 ! and ready to bolt on to your tractor. You may have to allow a few days to a few weeks for delivery!! 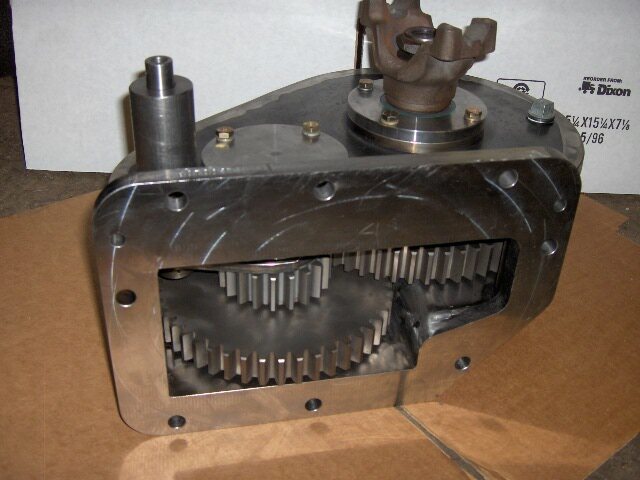 WE CAN USE THIS TRANSFER CASE TO CORRECTLY DRIVE A COLEMAN MFD AXLE UNDER A 1566 OR 1568. COMBINATION FOR THOSE THAT ARE INTO MODS AND PROTOTYPES!! WE ALSO BUILD THE UPPER PIVOT BOLSTER CRADLE FOR THESE; IT WILL WORK ON ANY OF THE FRAME CRADLE MOUNT AXLES. LEVEL HOOD AND BETTER APPEARANCE. IT ALSO IMPROVES THE DRIVESHAFT ANGLE AND OUR PIVOT PINS ARE VASTLY SUPERIOR TO THE ORIGINALS. THE TRACTOR PICTURED HERE IS WEARING THE IMPROVED VERSION!